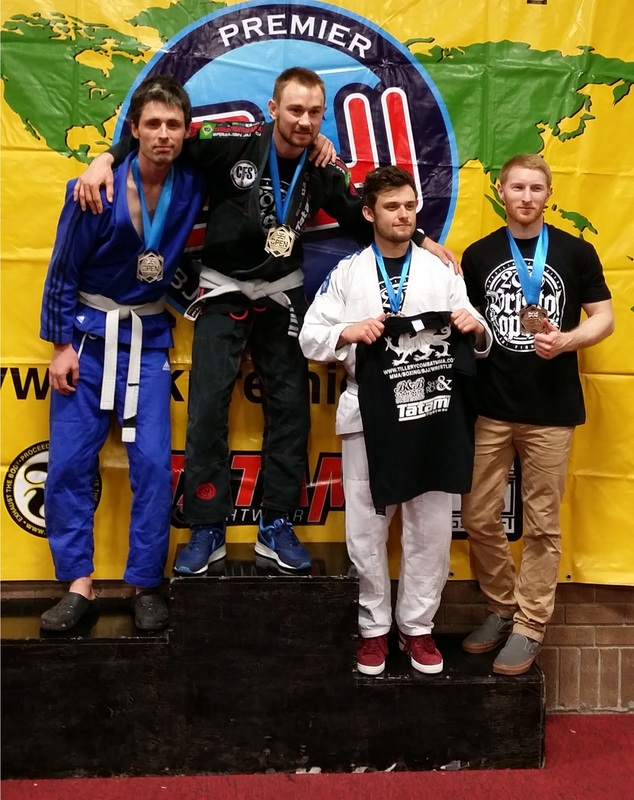 This page is primarily intended to make students at Artemis BJJ aware of nearby BJJ competitions. It’s therefore focused on the South West UK, but other BJJ competitions will be added, especially if they’re reasonably priced. If I’ve missed something, or you’re a tournament organiser, contact us at info@artemisbjj.com. If we’ve been to the tournament in question before and liked it, it will have Artemis BJJ Approved written next to it. For a more expansive list, there’s a useful closed Facebook group, UK Brazilian Jiu Jitsu Competition Calendar. Combate! (com-ba-tchee) – what they say to start the match, like ‘hajime!’ in judo. They will also extend their arm and point it at the ground when they say that. Parou! (pa-row) – the ref will say this when you need to stop for a moment, like retying belts, you’re at the edge of the mat or whatever. They’ll also extend both arms out from their sides, making a ‘T’ shape. Lute! (lu-tchee) – when you stall, resulting in a penalty I think, if I’m reading the IBJJF rulebook properly. 4 Points – if you can get mount (including technical mount), or secure the back. Note that for back control, you need to have your hooks in before you get the points. You can also get four points for what’s called back mount, which is like mount, except they are belly down and you’re sat on their back. You also need to hold it for at least 3 seconds. 3 Points – for passing the guard. Confusingly, you don’t get points for side control, but I guess when you have passed the guard, that does normally mean you end up in side control. However, you don’t get any points if, for example, you’re underneath side control and manage to roll your opponent to end up on top. 2 Points – for a takedown, sweep, or getting to knee on belly. Keep in mind reverse knee on belly doesn’t get you anything (so, where your leg nearest their head is the knee on the belly, rather than the orthodox configuration). Illegal Techniques: White Belt – white belts can’t try to submit by squishing the ribs/kidneys with legs and arms locked around their opponent, no wristlocks, no head on the outside of a single (those three all become legal at blue belt). You also can’t use bicep or calf slicers, knee bars or toe holds (you have to wait until brown belt for those). Illegal Techniques: Everyone – No slamming, no spinal locks, no heel hooks, no locks that twist the knees, no scissor takedown/kani basame, no turning towards the foot not under attack in a straight footlock, no outward pressure on a toe hold, no bending fingers backwards, no piledriving somebody trying to single leg you, no suplex. Keep in mind that all the above are just the IBJJF banned techniques. Other competitions do not necessarily follow the same rules. E.g., heel hooks are often legal at nogi competitions, such as the biggest of them all, the ADCC Championships (indeed, many of the matches there are won by heel hook). Also, it doesn’t mean that you can never do these ‘banned’ techniques in class, especially if you aren’t planning on competing . Having said that, many of them are sensible safety precautions, so always check with your instructor and your training partner first, especially if you want to do something high risk like twisting leg locks. Information is mostly taken from the IBJJF Rulebook v.4.0: ref gestures are covered in section 1.4 (pp7-12), points in 2.6 (pp13-14) with more detail in section 4.0 (pp16-22), then finally fouls in section 6.0 (pp23-29). Thanks also to Pippa for sharing her vast refereeing experience!